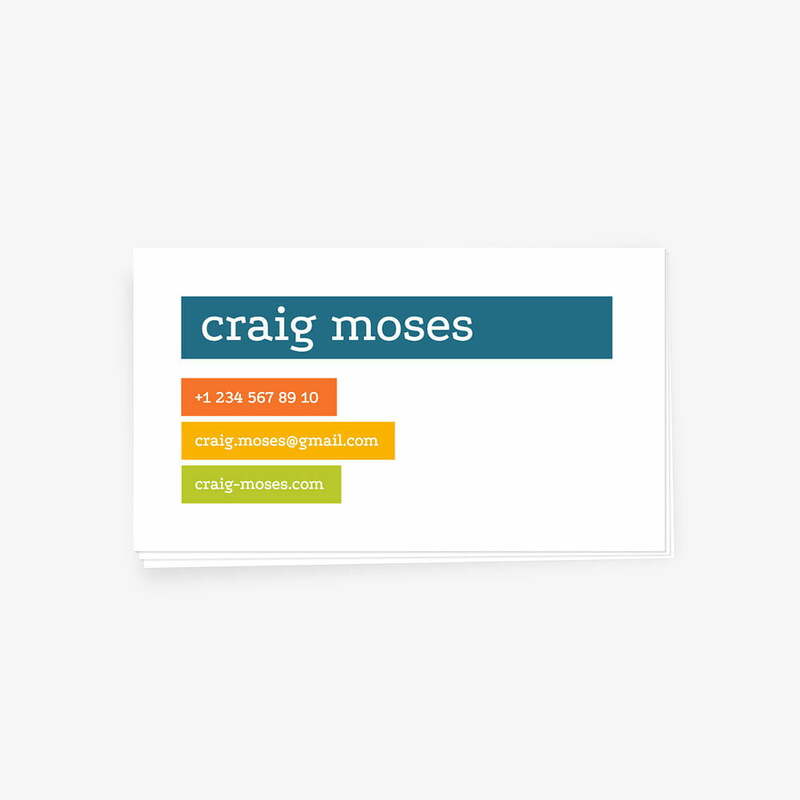 Home » MakeBadger's templates shop » Attractive Swiss-style business card. OBC-08. Minimal Swiss-style business card for creative designers. Old-school style forever! You can encounter a potential lead or contact at any time: tradeshows, industry conferences, meetings, airport lounges, and arming yourself with business cards at all times will ensure that you never miss an opportunity to make a relevant business connection. Keep some in your pockets, wallet, money clip or laptop bag so the next time you encounter a prospect you are prepared. Take a look at this pretty online template! Feel free to use it as a base for your own creative artwork. Here is the slick swiss-style visiting card example with colorful and attractive modern card layout.